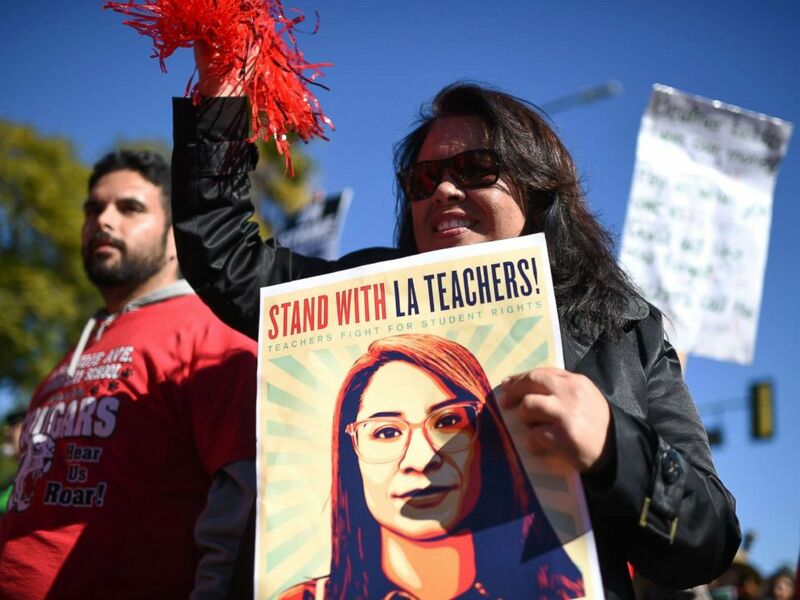 The union representing striking Los Angeles teachers reached a tentative deal with the school district Tuesday that includes increasing teachers’ pay and shrinking their class sizes. Striking public school teachers and their supporters march during the 34th annual Kingdom Day Parade on Martin Luther King Jr Day, Jan. 21, 2019, in Los Angeles. Mayor of Los Angeles Eric Garcetti speaks at a press conference, Jan. 22, 2019. 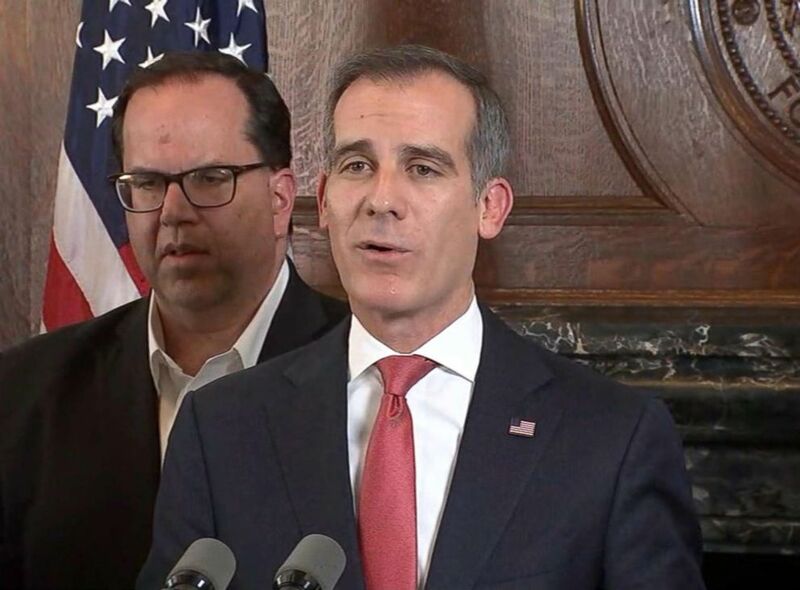 Garcetti’s office said in the statement that the most recent talks lasted for 21 hours and ended shortly after 6 a.m., hours before the deal was announced, the Associated Press reported.